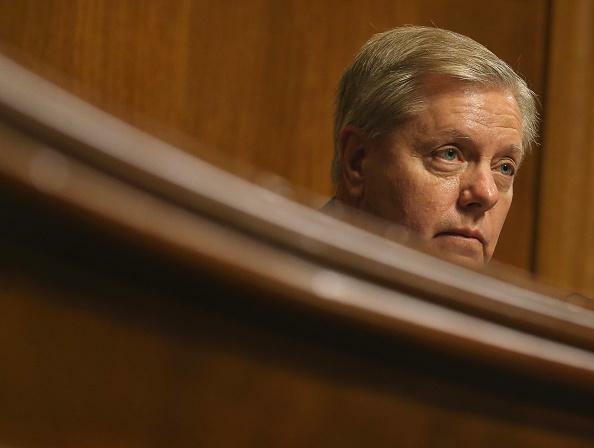 Lindsey Graham, "Iranians are liars": Not what the video says. Lindsey Graham at a May 19 Senate committee hearing. Senator Lindsey Graham, the first speaker Friday morning, appearing from Washington via video, spoke of losing his parents as a teenager, working in a pool hall and having to help raise his younger sister - and how it relates to his leadership style. “I met a lot of liars, and I know the Iranians are lying.” The last word is definitely not liars—you can tell by comparing it with when he actually does say liars earlier in the sentence. Moreover, Iranians is actually preceded by the both times he says the word, which makes a big difference given that referring to “the [name of national population]” is typical diplomatic shorthand for a particular country’s government. See President Obama referring to “the Iranians” here, for example. Graham’s statement may or may not be correct. But in the context of current events, and with a more accurate transcription, it doesn’t seem to be the attack on an entire nationality that it’s being made out as.